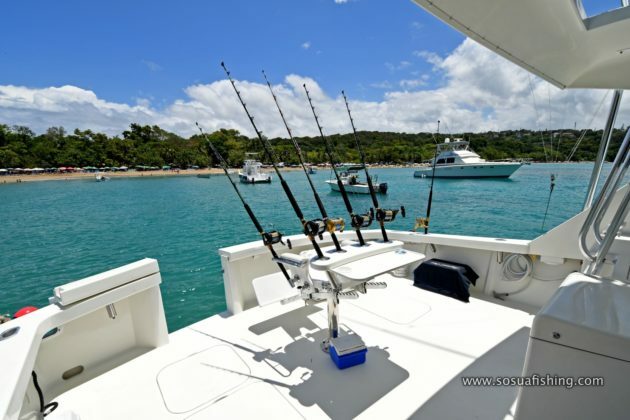 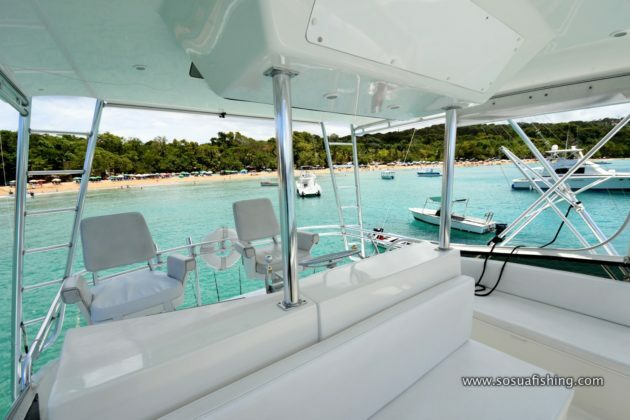 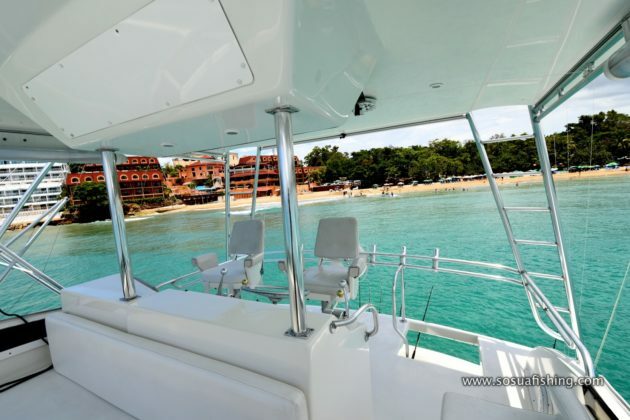 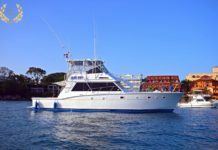 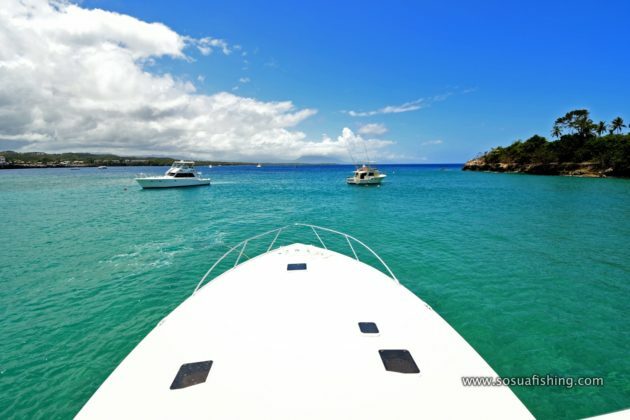 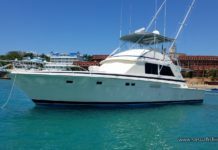 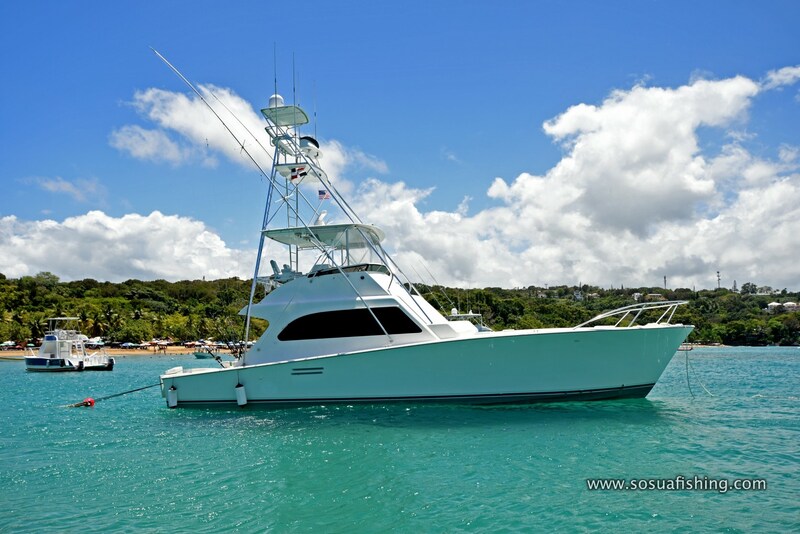 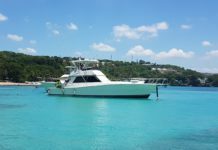 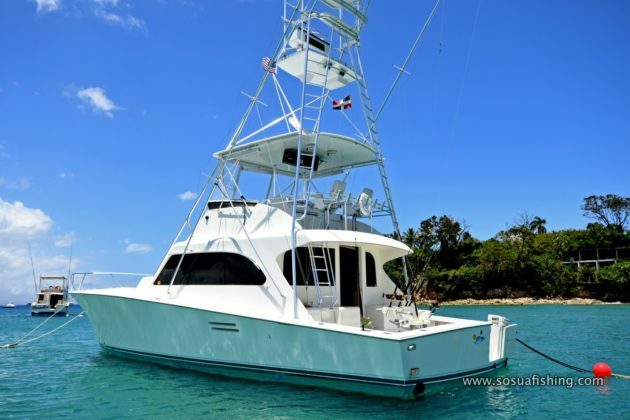 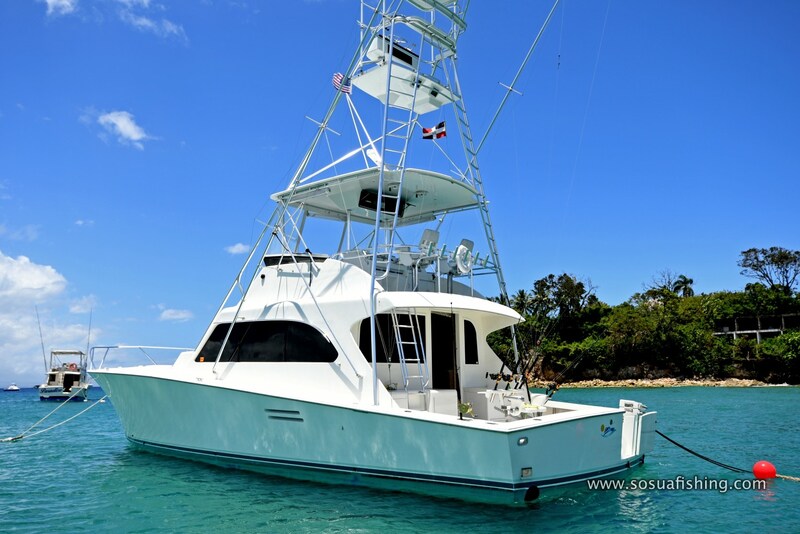 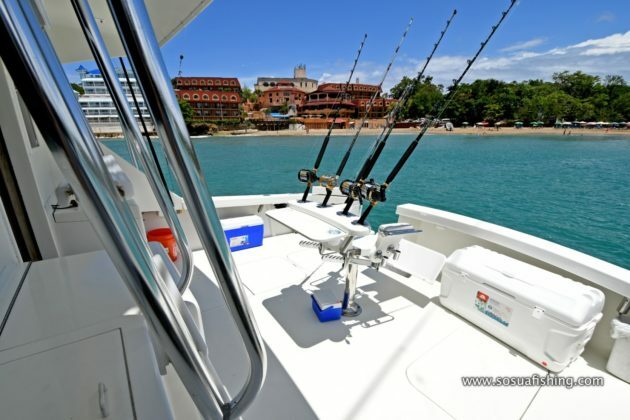 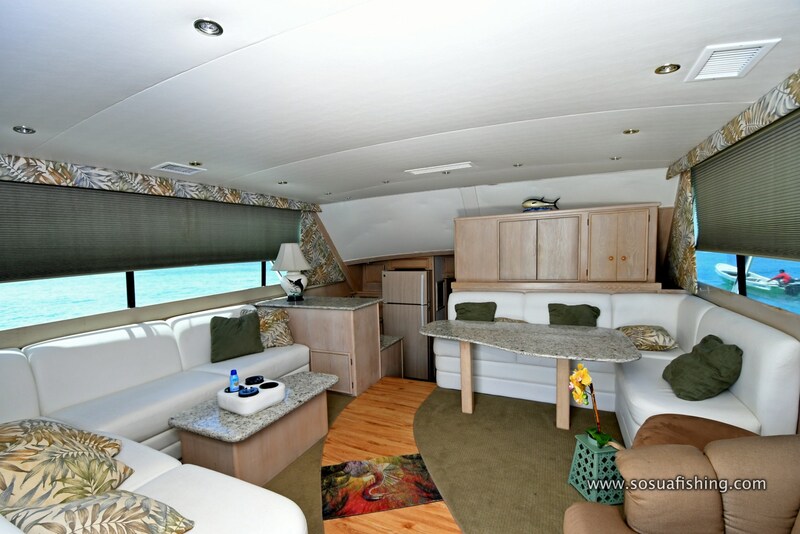 Sosua fishing charters can be enjoyed at a very high end with this Post yacht – boasting luxury features that make fishing and sailing a unique experience in the North Coast. 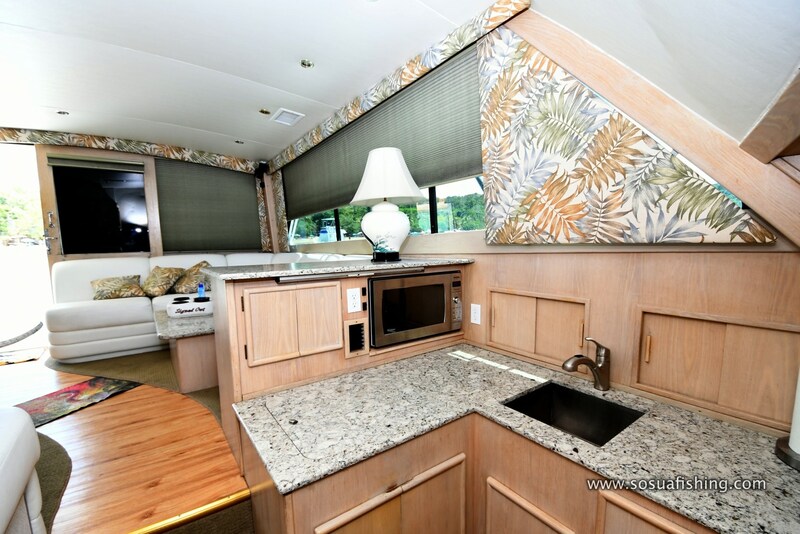 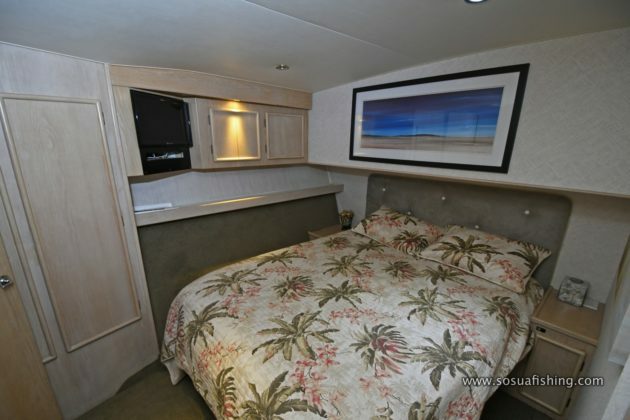 Designed for tournament action, This is a 50` convertible model, with exquisite interiors and a racy exterior look. The yacht itself is a custom order with higher bridge, that provides a much better 180-degree view from a higher point, and a comfortable lounge that fits more than seven people just next to the captain. 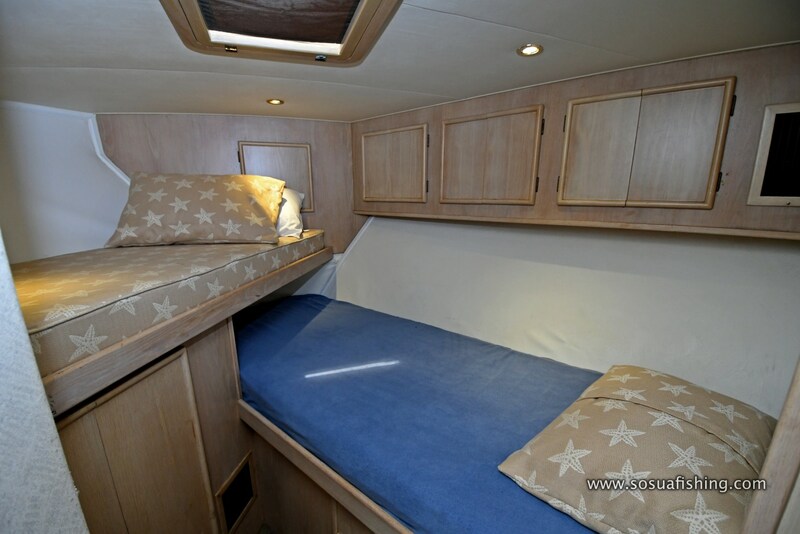 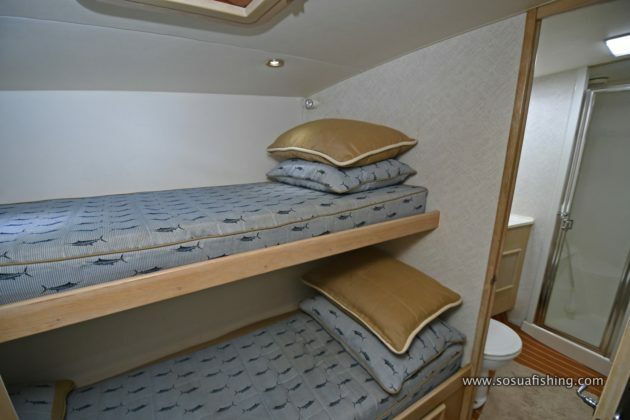 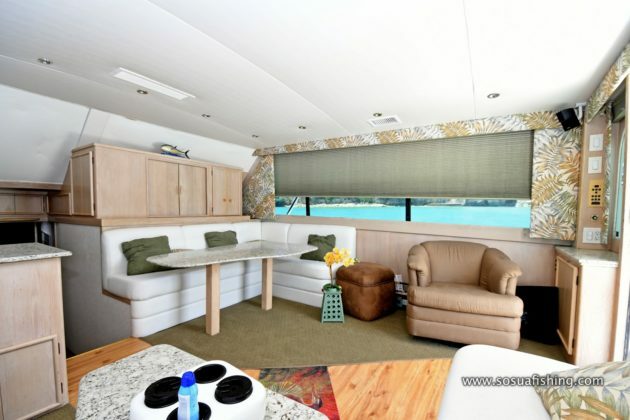 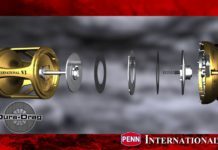 The yacht has the plan B configuration, that includes master stateroom with six-inch queen size bed, a forward stateroom with upper and lower berths, and a third one with two bunker beds. 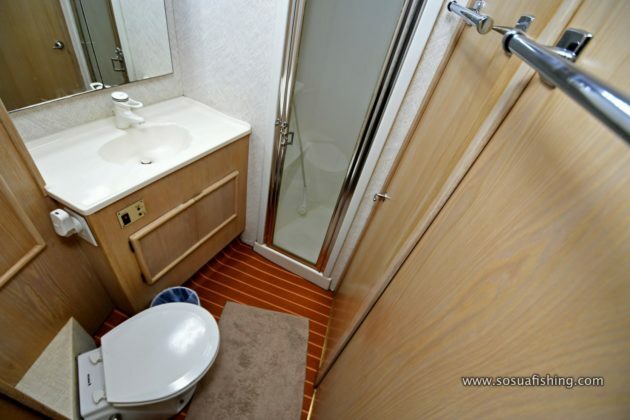 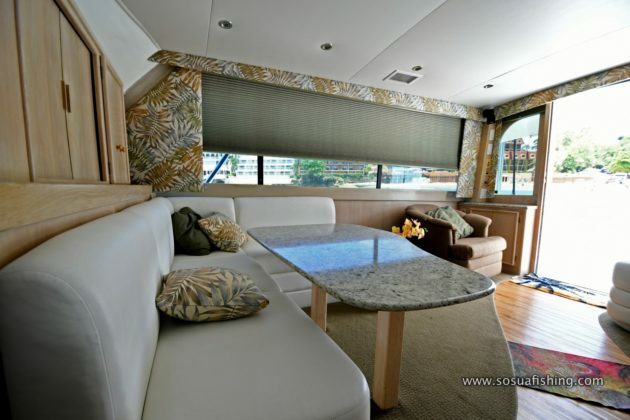 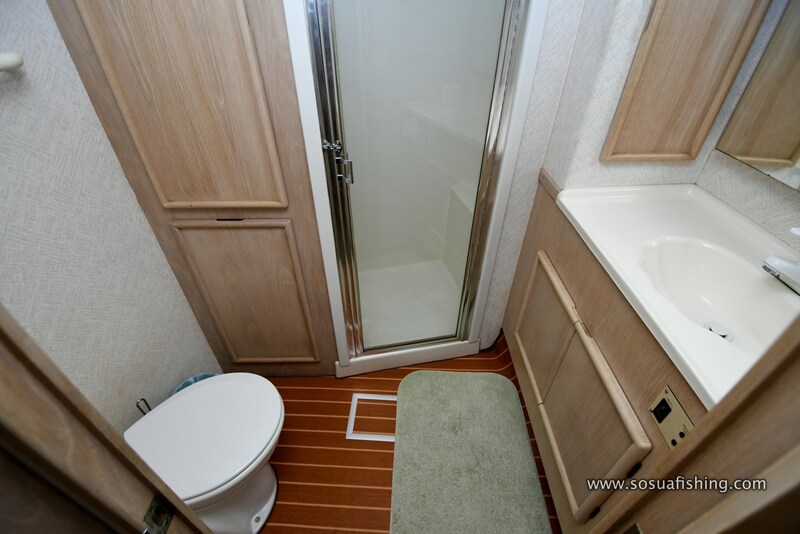 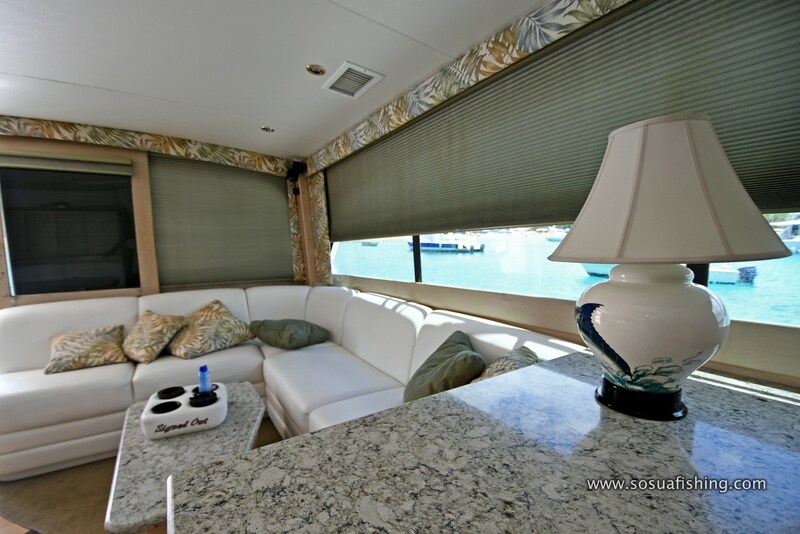 The yacht includes 2 bathrooms, one for the master suite ( master head ) and one for the two guest suites. 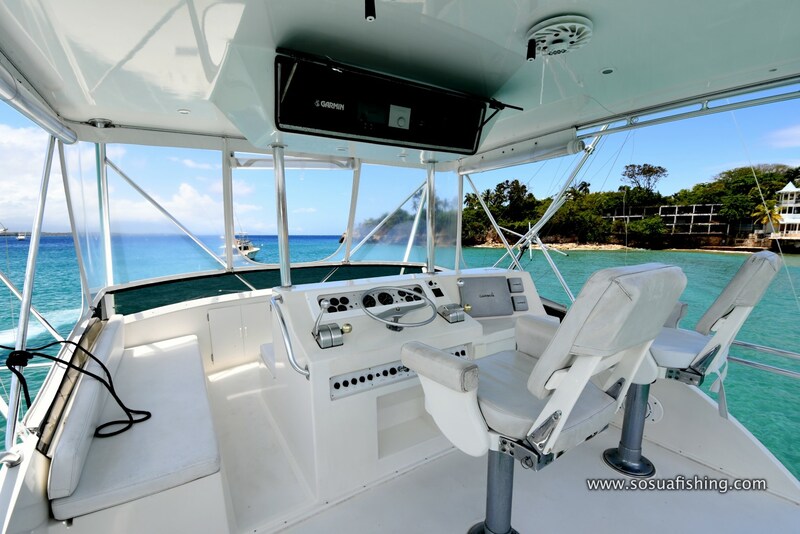 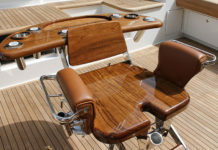 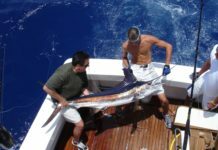 The yacht is fully equipped to handle the most demanding fishing game charters, and offers a set of amenities as a VIP tour: towel service, drinks ( beer, rum, sodas, water bottles ), fresh fruits, sandwiches, and crew. 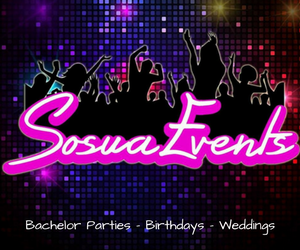 Guests can plug their phones or mp3 players to the main stereo, so that makes it a party yacht in Sosua for those planning to have a happy birthday, high end style.